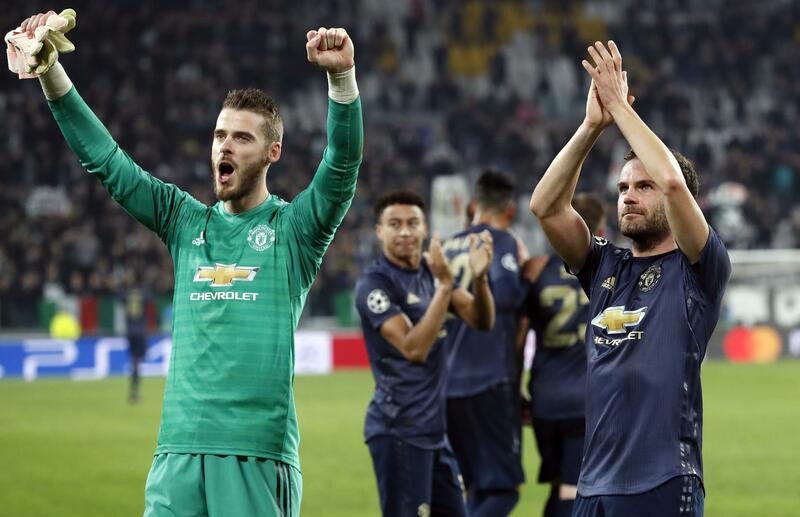 Wed., Nov. 7, 2018, 3:32 p.m.
GENEVA – It was Manchester’s night in the Champions League as United stunned Juventus with late goals and City routed Shakhtar Donetsk on Wednesday. Cristiano Ronaldo’s brilliant goal – a volley from a long pass that dropped into his path over his right shoulder – was set to give Juventus victory against his former club with minutes to play in Turin. Robert Lewandowski scored both Bayern’s goals in a routine 2-0 win over AEK Athens which has lost four straight. The grace and power of Ronaldo’s 65th-minute finish, connecting with a floated pass from Leonardo Bonucci, would have been a worthy way for Juventus to extend the last remaining 100 percent record. The club has been severely criticized in the “Football Leaks” reports by Germany’s Der Spiegel magazine. City has been portrayed in internal club documents and emails as ruthlessly run and allegedly prepared to deceive UEFA to avoid a possible Champions League ban for overspending. The Group E table has a 1970s feel with Bayern Munich and Ajax looking good to advance. The teams each won a hat trick of European Cup titles from 1971 to ‘76. Published: Nov. 7, 2018, 3:32 p.m.